what you liked, disliked, what you want more of etc. As always great articles, loved the one about Simbecile (Alfie/Alice). And beautiful pictures and love the layout of the magazine. Keep up the good work. Congratulations, and thanks all the magazine´s participants for share all their good ideas and their work! Whoa! That was a bumper issue :D I loved it - thanks for all your hard work in getting it together! What a wonderful issue!!! Thanks to everyone that made it possible. I love that you've made the items clicky so we can go find them instead of posting in the WCIF thread. This is so much easier now and I truly loved the contents. I also loved the way you guys blended Sims 2 and Sims 3 in that publication. So seamless.. it's wonderful You guys are wonderful. Thanks so much for your hard work, creative talent and artistry. I just had to post this here. If it's in the wrong section, please move it to the appropriate one. I always love to see the new magazine issues and this one was fantastic! But I expect nothing less from LivingSims. You guys do a tremendous job! 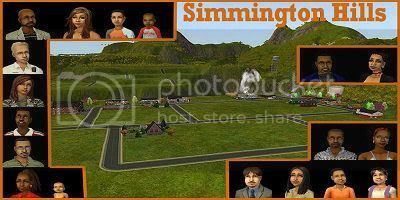 I have just read it, not all but most of articles, love the way you put together sims2 ans sims3. Unless I have not switched to 3 yet, it's nice to see how many beauties are there for them. And the article about growing children is the best!! You can trust on bad people, they never change.